HOUSTON – (Realty News Report) – Houston is at a cross roads. The office market is still recovering from the energy slump. The energy sector, battered by price fluctuations over the past several years, seems to be stabilizing. The Texas Medical Center, a pillar of the city’s economy, is expanding. What does this all mean for the future? 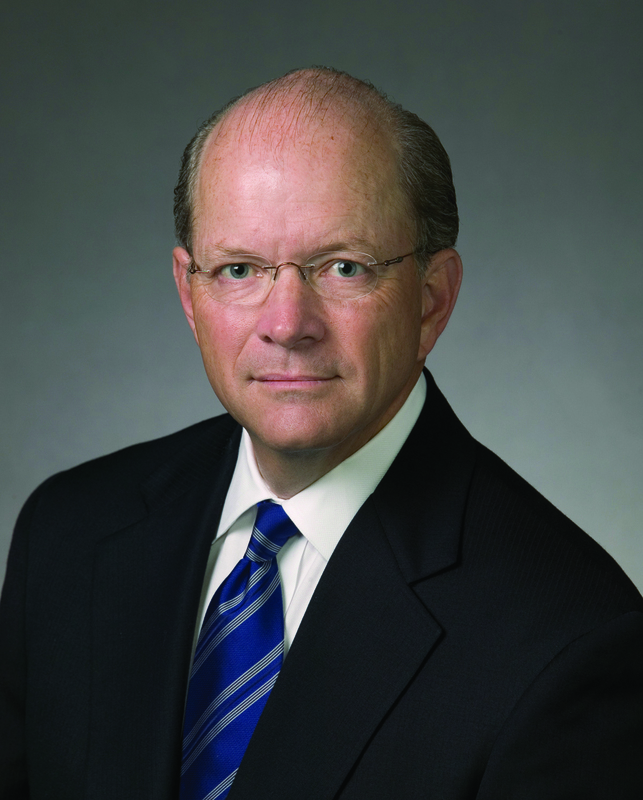 Realty News Report spoke to Dan Bellow, President of JLL Houston, who has more than four decades of experience in commercial real estate brokerage specializing in headquarters assignments, workplace strategies, build-to-suit projects and dispositions of surplus properties for office users. A native Houstonian and graduate of University of Houston, Bellow currently serves on the boards of Texas Medical Center, Greater Houston Partnership, YMCA of Greater Houston, Sam Houston Area Council of Boy Scouts of America and University of Houston Bauer College of Business. Realty News Report: The office market is suffering through a rough patch right now. What’s it going to take for this market to recover? Dan Bellow: It’s going to take job growth, diversification of our economy and the pursuit of corporate relocations – all of which are happening. In the past twelve months, job growth has been very strong. In fact, from July 2017 to July 2018, Houston added more than 100,000 jobs. Not all of that is office-related, but growth means there will be absorption of office space over time. Our economy continues to diversify. We see that in the new TMC3 project and the developing commercial life sciences industry in Houston. We also need to focus on our strengths. Strengths of energy, healthcare, aerospace, Port Houston and manufacturing. These sectors will continue to grow, and we need to pursue these kinds of companies while simultaneously diversifying. We are a growing city and always have been. I think more than ever, Houston is recognized as a great global city in which to live, work and play. Realty News Report: The Uptown/Galleria has gone through a few cycles, as you know. What’s the status of that submarket? Will the mass transit improvements there make a difference? Dan Bellow: Uptown/Galleria is one of the strongest office submarkets in the city primarily because of the live, work, play environment. Today, almost every office building along Post Oak Boulevard is within walking distance of restaurants or shopping. Residential growth has made the area even more popular and active at all times of the day. As for the mass transit project underway, you have to look at downtown to understand the impact. Nearly 40 percent of the downtown workforce utilizes Park and Ride to get to work. Uptown will be the first market outside of the CBD to be specially served by mass transit. When complete, those who work in the area will be able to utilize Park and Ride to get to work. This hasn’t been an option for Uptown tenants in the past. Time will tell, but hopefully it will reduce traffic congestion, which has traditionally been a challenge for the submarket. I see the project as a positive. Realty News Report: New buildings are under construction in downtown by Hines and Skanska and they are attracting tenants in what’s called flight-to-quality. Older properties need to be improved to be competitive. What’s the next step as this trend unfolds? Dan Bellow: Major occupiers from all industries are adopting new workplace strategies that reflect the real utilization of space and put human experience at the forefront. They need a workplace designed with the employee experience in mind and newer buildings that have the infrastructure densification requires. New buildings are going to flourish and do well. Older buildings will need to invest in upgrades to compete, albeit at a lower price point. Creating an amenity-rich environment focused on efficiency and human experience will be key to the future. I think we will see a lot of reinvestment in older Class A buildings and projects. There are only a few new buildings downtown, so there are many tenants not in those buildings who will want to adopt new workplace strategies. Owners need to be planning how they are going to meet those expectations. Realty News Report: At the end of the food chain, what’s the ultimate fate of the Class B-minus and Class C buildings in downtown? Dan Bellow: Some of them are going to have to be repurposed for new uses. That happens everywhere, and it’s happened in downtown before. Once a building is functionally obsolete and difficult to lease, you’ve got to think of what else it could be – hospitality, residential or some other use. If they have good quality locations, then some may turn into land sites for redevelopment. We’ve seen a lot of that in downtown over the years and it’s the case for both towers currently under construction. Realty News Report: You were chairman of the Greater Houston Partnership a decade ago. Houston failed to make the top 20 list released by Amazon in its search for its HQ2 location, which was taken as a wake-up call. What needs to be done to improve Houston’s economic development strategies and tactics? Dan Bellow: We are addressing our preparedness for the future. There are a lot of people in Houston working to create an ecosystem that will be attractive to technology companies. The Greater Houston Partnership (GHP) has undertaken several activities to recruit and retain technology companies. Within Houston Exponential, they’ve created the Anchor High Tech Firm committee that is specifically tasked with recruiting a hi-tech firm or research institution to Houston. We’re not viewed as a high-tech city, but the fact of the matter is we have a tremendous technology workforce. They’re just embedded in other industries, such as energy. Remember also that BMC and Compaq computer were founded and built right here in Houston. HPE and HPI both have a huge presence in Houston. We have a technology sector, but we need to better define the full ecosystem. Part of that has been done by the outlining of the Innovation Corridor, which the GHP has identified as the four-mile-long stretch of Houston, anchored on the south by the TMC and Rice University and on the north by downtown. I think in the next 10 to 20 years we are going to have a robust technology ecosystem. Realty News Report: The Texas Medical Center is the world’s largest and the TMC3 biomedical research hub is expected to elevate the center to new heights. How did the Medical Center grow to this level of prominence? What does the future hold for TMC in in the decades ahead? Dan Bellow: Well it’s the result of visionary thinking and great leadership. Thanks to strong leaders at each of its member institutions, what started as a cooperative largely focused on infrastructure has transformed into an organization at the forefront of innovation and transformation. And we can’t overlook Houston’s philanthropy. Drive around the area and you’ll see the names of Houstonians whose generosity contributed to the growth of the TMC. TMC3 will be transformational as an economic engine for Houston and the state of Texas. It will attract life sciences companies and further the groundbreaking research that’s already taking place. Just recently Houston scientist, Dr. Jim Allison, won the 2018 Nobel Prize in Medicine. That’s the level of work that is happening within the TMC and this project will take all of that into the next generation. The life sciences industry will become a major economic engine for Houston in the future, and TMC3 is vitality important to continued growth and diversification.